If you love nature, come love it at FENCE! 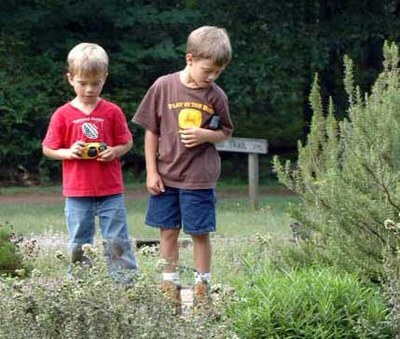 FENCE offers 384 acres of hardwood forest, meadow, and wetland for hikers, birdwatchers, gardeners, astronomers - anyone who enjoys connecting with nature and learning how to preserve our precious natural resources. Our entire property is protected by a conservation easement, so it will always be available for future generations. During the school year, some eight thousand elementary and junior high school students join our Project FENCE natural history curriculum both on the FENCE grounds and in their own classrooms. School children enjoy programs like "Schoolyard kids & turtle Scavenger Hunt" and "Insects and Creepy-Crawlies". We are currently serving students in the following counties: North Carolina: Buncombe County, Henderson County, Rutherford County, Polk County. South Carolina: Greenville County, Spartanburg County. FENCE also provides facilities and classes in nature study for home-schooled children and for youth organizations like 4-H and the Boy and Girl Scouts. 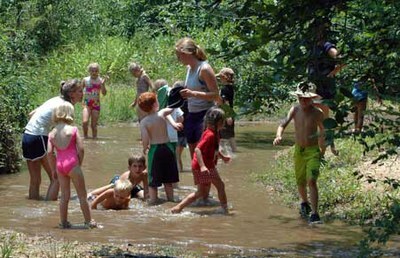 Summer day camps provide a wholesome and fun way to teach children respect for our natural heritage. Camps are suitable for children five to twelve. Click a link at the left to explore the many ways you can love nature at FENCE. Add nature to your child's birthday party!